The book ‘I Can Never Say Enough About The Men’ was successfully launched in November 2010. Andrew Kerr was joined at the book signing by members of the modern Jammu & Kashmir Rifles regiment. 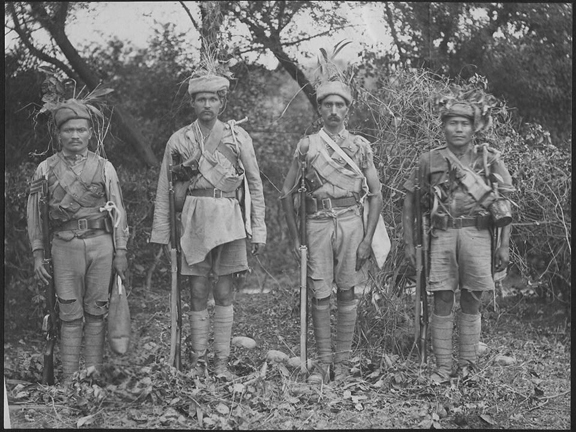 A Glossary of terms relevant to the Jammu & Kashmir Rifles’ historic WWI journey through East Africa has now been added under the ‘Background’ tab on the main menu. The Glossary will be updated regularly. If you have any suggestions then do please contact us. A select extract of the current terms are shown below the fold. The book ‘I Can Never Say Enough About The Men’, a historic account of the Jammu & Kashmir Rifles’ arduous journey through World War I East Africa, has now been published and is available to order. Please use the PayPal button to the right or the ‘Contact Us’ button if you have a general enquiry.